Women’s tennis (10-13) has spent its last three matches on the road and lost each one. This past Thursday they traveled to Miami to take on the Hurricanes but fell 7-0. Louisville holds a 2-11 conference record with only one more match to go before the ACC Championship. The doubles lineup was switched up a little with junior Raven Neely and freshman Dina Chaika at the No. 1 spot, freshman Chloe Hamlin and senior Sena Suswam at No. 2, and junior Diana Wong and senior Ola Mally at No. 3. 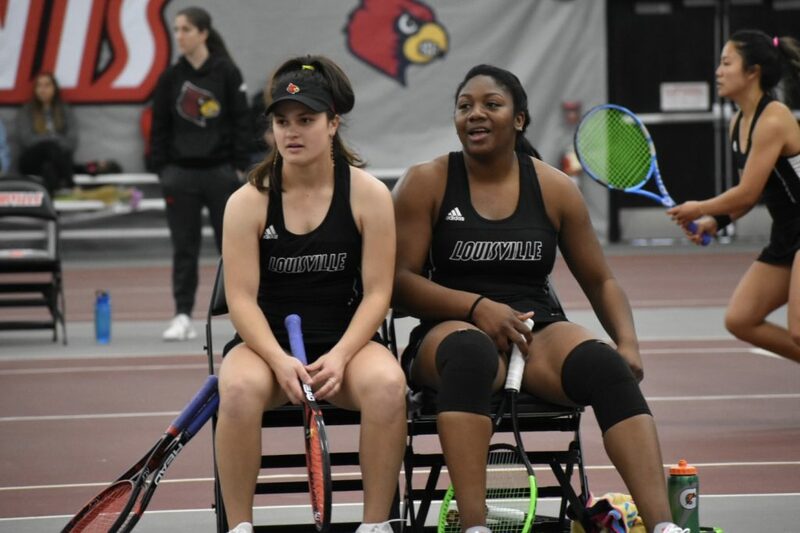 Suswam and Hamlin fell 6-3 to E. Perez-Somarriba and Ulyana Shirokova (UM). To clinch the doubles point for the Hurricanes, No. 20 Daevenia Achong and Daniella Roldan (UM) defeated Neely and Chaika. The third doubles match was left unfinished with a score of 4-4. The singles lineup included Neely at No. 1, Suswam at No. 2, Mally at No. 3, Hamlin at No. 4, Wong at No. 5, and Chaika at the No. 6 spot. Hamlin came in first with a 6-2, 6-1 loss against Ulyana Shirokova (UM). Leading 2-0, the Hurricanes took over court six when Ana Madcur (UM) defeated Chaika 6-2, 6-0. Wong suffered a 6-2, 6-4 loss to Lucia Marzal (UM), clinching the match at 4-0. Mally fell short on court three, losing her match 6-3, 6-1 to Yuna Ito (UM). Neely fought, but couldn’t managed a win against No. 2 E. Perez-Somarriba (UM) (6-4, 6-4). Lastly, Suswam went into a third set falling to Daevenia Achong (UM) to leave the overall score at 7-0 (1-6, 6-3, 1-6). Women’s tennis travels to compete against Florida State Saturday, April 13 at 12pm.